VANCOUVER –– British Columbia’s Electra Meccanica Vehicles (EMV) Corp. has a volume production deal with China’s Zongshen Industrial Group, which will produce 75,000 Solo battery-electric vehicles for the electric vehicle startup. The agreement calls for Zongshen, based in Chongqing, to produce 5,000 of the three-wheeled single-seat commuter vehicles next year, 20,000 in 2019 and 50,000 in 2020. To meet local delivery demands, EMV has been building small numbers of the Solo – asking price $19,888 – at its suburban Vancouver. Company CEO Jerry Kroll has said he wants assembly operations in China, India, the U.S. and Europe. 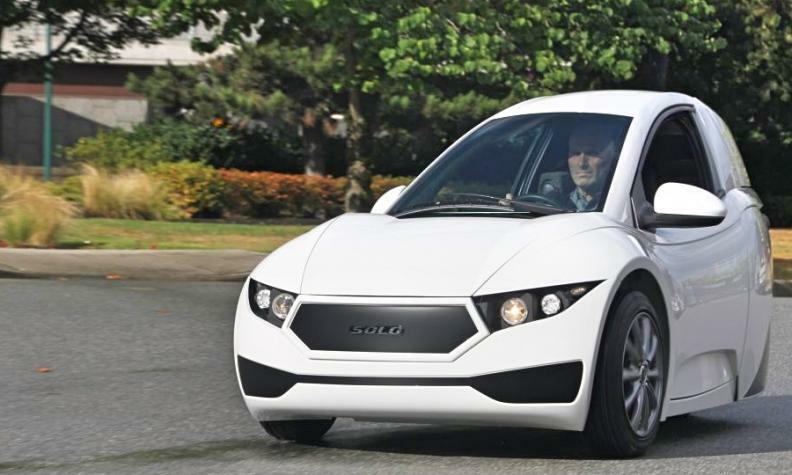 The company says it has corporate and retail orders totalling over 20,000 units, representing close to $400 million and additional orders for 24,000 for the two-seat Tofino sports EV, still in development, for an overall total of $1.6 billion. EMV defines corporate orders as those placed by dealers and distributors while retail orders are those vehicles sold directly to the customer. Corporate orders require a letter of intent and all orders are non-binding. Retail buyers pay a refundable deposit. Zongshen is a holding company for a diverse range of businesses, including auto parts and motorcycle and three-wheeler assembly.